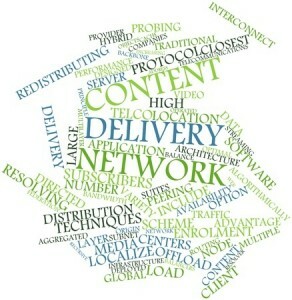 A content delivery networks provide rapid content delivery across a large geographical area. Using a CDN for images and videos will significant improve page loading speed – regardless of where your site is viewed. We strongly recommend that you use a CDN for website performance. Our preferred CDN is Amazon Cloudfront. It is economical and provides excellent service. You must first setup an account on Amazon S3 where your content will actually be stored. Establish your ‘bucket’ on S3 then upload your content into the bucket. You then create a distribution on your Cloudfront account which will have an associated domain name. The domain name is used to load your images and videos on your web page. Once your Cloudfront distribution is ‘deployed’ it is available to the viewers of your website. Contact us for more information on how to use a Content Delivery Network and to discuss your options. This entry was posted in Uncategorized on July 25, 2014 by Rod Weston.